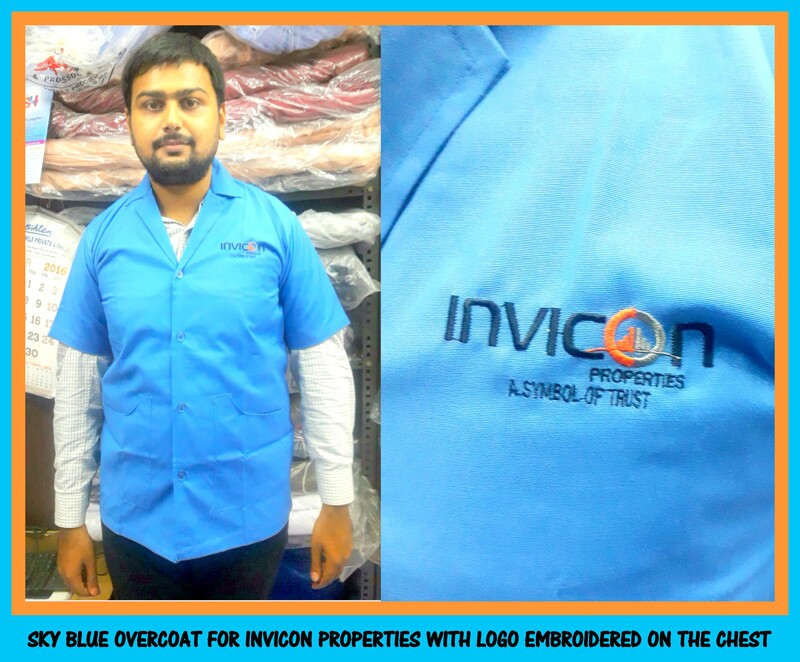 Sky blue overcoats for real estate companies in Chennai !! There are myriads of real estate companies in Chennai. RSM Uniforms caters uniforms for everyone starting from the top level CEO to the lowest level housekeeping and security staffs of real estate companies in Chennai. Here is a sky blue overcoat with the company logo of one of the real estate companies of Chennai. As per the companies instruction they wanted the “A symbol of trust” caption to be removed from the logo while doing the embroidery on the garment. Due to heavy work load we forgot to consider this and had got the logo done on the garment with the caption. We apologize for our mistake and would make sure that every small thing will be minutely taken care of for all our assignments in future. Thank you for appreciating our work and ignoring the mistake of the caption. For your requirement of overcoats call us now. Soon we are also introducing overcoats without sleeves in different patterns and color. Wait and watch for the next things that we would stock up and be ready to get served instantly. Call us now at 044-25386319 and whatsapp us your requirement of uniforms to 9176634635. We would be happy to help you.